through strong arguments and effective activism. To make strong arguments for good causes related to the promotion of public education in and for direct deliberative democracy and to support persons, places, and programs that participate in those causes. ​Something that is 3-D is three-dimensional. That is, it has width, height, and depth. Most of us are well familiar with this concept, because our physical world is three-dimensional, and we negotiate it pretty well most of the time. 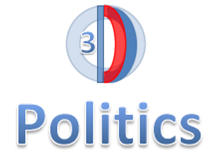 In short, 3-D is reality, and if we want our politics to be real, then we want them to be 3-D: direct and deliberative and democratic. We want to see that our political decisions are wide or comprehensive and encompassing. We want to see that they also have height—that they are significant in our lives and affect us directly and importantly. Finally, we want those decisions to have depth; we want them to have real substance and quality behind them. We want them made sensibly, reasonably, through dialogue and deliberation. So we want and need our democracy to be “real.” Help us to achieve 3-D politics now. The idea behind the American Dream is that each of us should find that if she works hard and plays by the rules, then she will have a life that is financially secure and heavy with opportunities for advancement and fulfillment. Moreover, the life of her children should be even better—more secure, more prosperous, more fulfilling—than hers. In his 1928 presidential campaign, Herbert Hoover encapsulated the idea of the American Dream with the slogan: “a chicken in every pot and a car in every garage.” To buy chicken you needed some steady income; to cook it, you needed a pot and a stove that, in Hoover’s view of American prosperity, would be in a kitchen. Indeed, Americans would be so financially successful that there would be a car in every garage. Of course, most garages are attached or close to a house. Today, many Americans find themselves checking to see whether they can afford chicken, let alone the house that holds the kitchen, the stove, and the pot. Today many Americans struggle to find adequate transportation, let alone a car in a garage. In 1965, when the American Dream seemed a reality to many, a CEO made 20 times what the average worker made. That means that a CEO could put 20 cars in his garages for every one car that a worker put in hers. Today that CEO can have as many as 400 cars in his garages for every one an average worker can buy.